Summertime means many things - barbecues, snow cones, bare feet and perhaps most notably, swimming. But with this favorite summer pastime comes inherent danger. The World Health Organization (WHO) reports that more than 500,000 deaths worldwide are caused annually by unintentional drowning and it is the third-most common cause of unintentional injury death. Generally, males and children under five are at the greatest risk of drowning. With knowledge, care and vigilance, instances of drowning can largely be avoided and summer fun enjoyed safely and smartly. WHO takes care to define drowning as “the process of experiencing respiratory impairment from submersion/immersion in liquid” and highlights the importance of a standardized description in order to effectively compare worldwide statistics. The New England Journal of Medicine (NEJM) reports that drowning begins with respiratory impairment as caused by water and can be classified into nonfatal or fatal drowning. When a person experiences drowning, several physical responses occur. First, the water is swallowed or spit out. If this does not solve the problem, the victim may attempt to hold their breath for about a minute. As they face the natural urge to breathe, some water is brought into the airways and the victim continues to cough. As the body is deprived of oxygen, consciousness is quickly lost and apnea, or the suspension of breath, occurs. If the situation is not effectively interrupted by a rescuer, the victim’s heart rate will first quicken, then slow as cardiac arrest takes place and finally, the heart stops functioning all together. NEJM reports that the entire drowning process typically takes from seconds to a few minutes. Whether from bystanders, on-duty professionals or through self-care, quick action can often help save drowning victims. According to NEJM, “in areas where lifeguards operate, less than 6% of all rescued persons need medical attention and just 0.5% need CPR,” a strong case for the importance of being informed on water safety. If drowning occurs, professionals should be called immediately and cardiopulmonary resuscitation (CPR) performed, if possible. For those untrained and attempting a drowning rescue, it is important they remember their own personal safety and if possible, provide help with an object (like a branch to reach the victim or something buoyant to help them float) from outside of the water. What Factors Add to the Risk? According to the Centers for Disease Control and Prevention (CDC), a number of elements can influence the risk of drowning. Inability to swim is one of the leading risk factors. Enrolling young children in formal swimming lessons can reduce this risk, especially in kids one to four years old. Depending on age, risk is greatest in different locations. For the youngest children (under the age of four), the risk is greatest in private swimming pools. As people age, the likelihood that drowning will occur in nature (in rivers, lakes, oceans, etc.) increases. The CDC also reports that drowning is the leading type of unintentional injury death for people that suffer from seizures, putting these patients at a higher risk. These drownings occur most often in the bathtub. The CDC recommends a number of ways to protect yourself and your loved ones from drowning. Perhaps most importantly (since this group is at the greatest risk), it is crucial to carefully supervise young children when in or around water - whether this be a swimming pool, lake or bath. 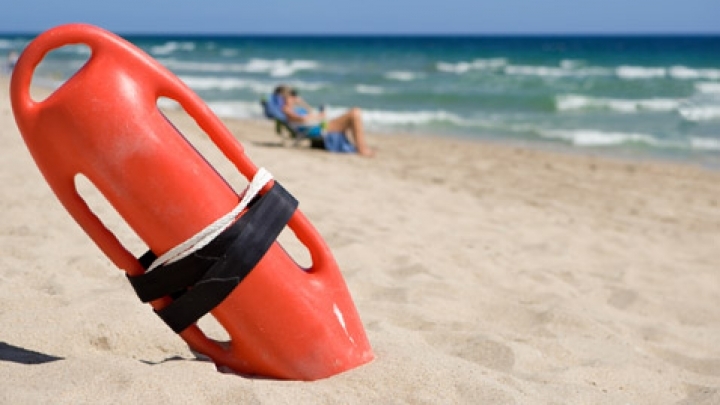 It is important for adults stay vigilant, even when a lifeguard is on duty. For those with pools at home, four-sided fencing should be installed and toys should not be left out, potentially tempting children to enter unsupervised. For seizure sufferers, it is recommended that showers are taken instead of baths and that life-jackets be worn when boating. This last tip goes for anyone taking part in boating, regardless of their physical health, skill or length of boat trip. Take care to obey safety signs when in natural swimming areas and keep an eye out for dangerous conditions like thunderstorms, rip currents, hazardous waves or strong winds. By following these tips and educating themselves and others, the public has the power to greatly reduce the number of worldwide drowning deaths. When swimming this summer, enjoy the water and stay vigilant in order to stay safe! The New England Journal of Medicine, "Drowning" World Health Organization, "Drowning Fact Sheet" Centers for Disease Control and Prevention, "Unintentional Drowning: Get the Facts"